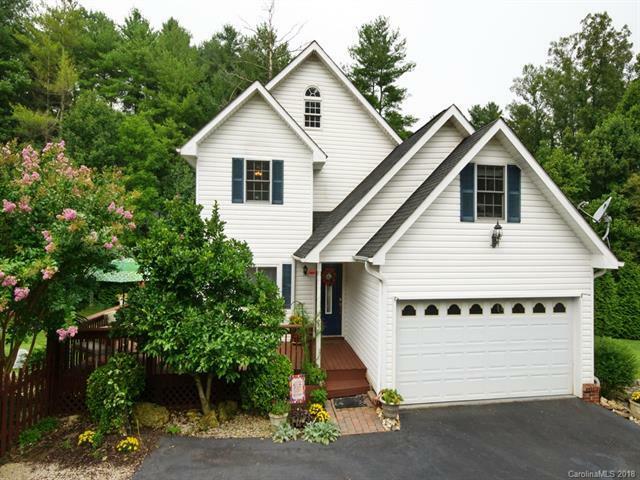 Just outside of downtown Weaverville and very close to Lowes, Walmart, Publix, Ingles etc. Great versatile floor plan with master on main, dual zone heating and AC, gas log FP and open kitchen. Office and additional crafts/hobby room upstairs. Basement has 2 outside entrances, workshop area, high ceilings and room for lots of storage. Great fenced yard with firepit, privacy and plenty of garden area. Fruit trees, grapes, blueberries and raspberries. This is a great opportunity to live in our mountains and be so convenient to all our area has to offer.